New Zealand’s football body recently announced their intention to start providing higher pay to those players in the national women’s team, making it equal to what men at the same level earn. The move was one of the first in the world, and comes as a response to Norway signing an agreement that gives equal pay rights to both men and women who are involved in the country’s national football. Sarah Gregorius, striker for the Football Ferns, has said that it represents an important principle in the sporting world, recognising the effort that women put into the sport. “It’s such an awesome line that we’ve now drawn in the sand. No matter who you are, whatever gender, when you pull on a New Zealand football shirt you’re entitled to the same treatment and respect no matter what,” she told reporters. The change means women will now receive the same payments from matches, equal proportions on tournament prize winnings, and the same fees for image rights. This extends further to aspects like flying, where women no now longer need to fly economy, and can enjoy business class. 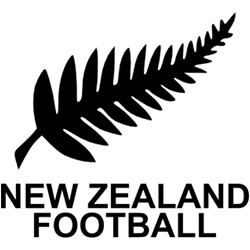 The Black Ferns will be the first female football team in the country to receive professional contracts.